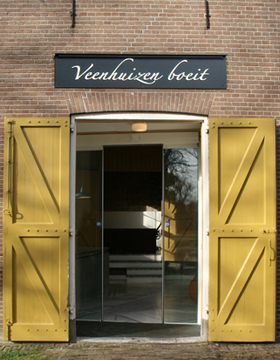 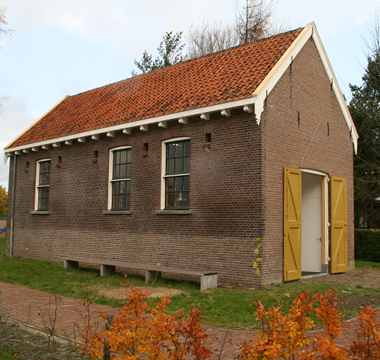 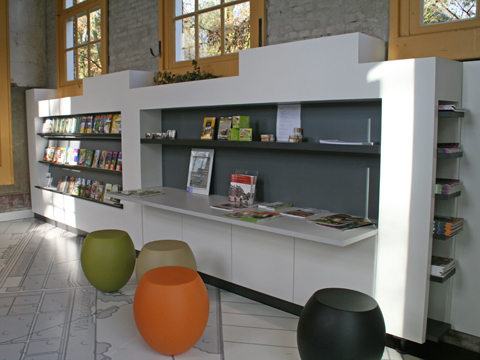 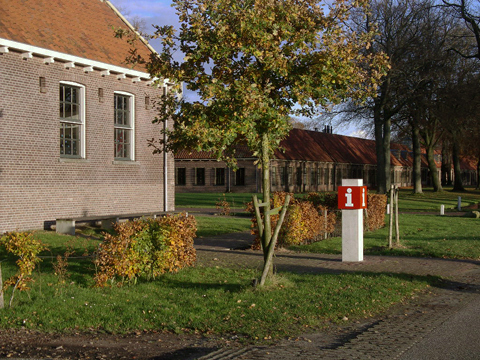 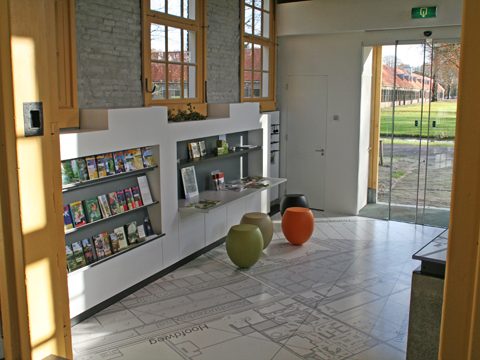 Interior and furniture design for the Information Centre Veenhuizen (foundation “Veenhuizen boeit”), which is situated in a former slaughterhouse. 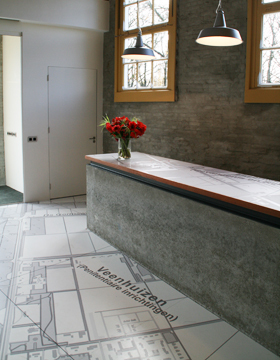 The floor features a map of the town of Veenhuizen. 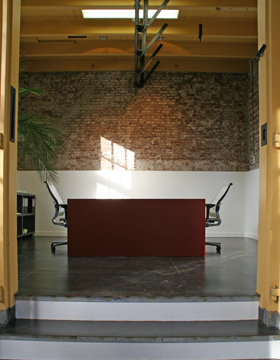 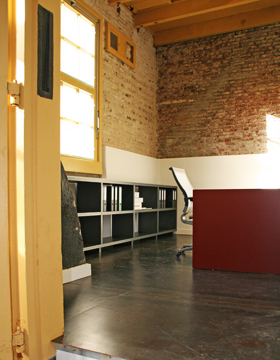 In the separate office section, the floors are executed in steel. 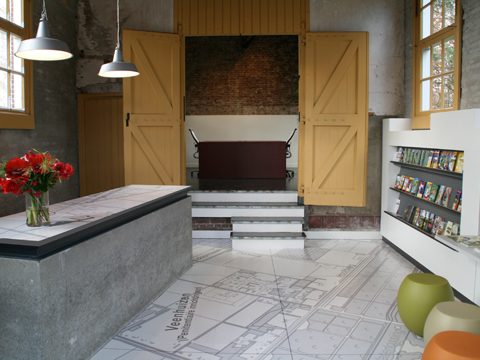 By keeping the furniture, panelling and entrance simple and sharp, the monumental character of the former slaughterhouse is emphasized.